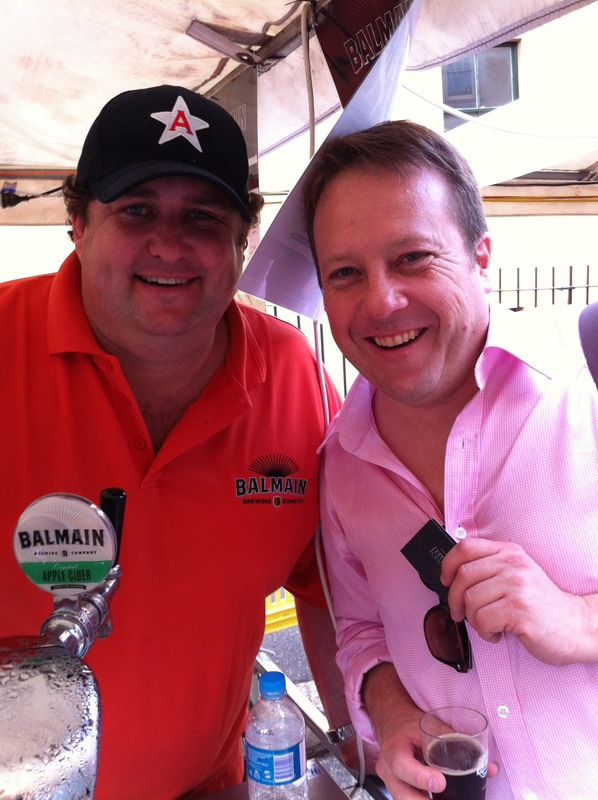 On Saturday and Sunday at the Australian Hotel in Sydney’s Rocks, the 7th Australian Beer Festival was held. Now Mrs Bladdamasta (and doesn’t she like that sobriquet!) doesn’t make many appearances on these pages. It would be fair to say that she is not the world’s biggest beer fan. However, with the promise of a smorgasbord of cider, Mrs B (that sounds better) made the trip on the ferry with me and we enjoyed a fine Saturday afternoon in the Rocks. It’s a good value afternoon (so long as you can resist the temptation of t-shirts and other beer related trinkets). $5 for a tasting glass and $10 for 10 tasting tickets. A tasting ticket gets you probably 50ml of beers. If you liked something, you could use two tickets for a double shot. There was a couple of Macro brewers in amongst a sea of craft brewers. For example, the South African-Anglo brewer Cascade was there. As my @Untappd account revealed, it was an opportunity to try many beers that I hadn’t seen let alone sampled before. For Mrs B, she was pretty happy as a number of tents had a cider available as welll. Our first beverage of the day was a glass of Aussie Cider (I think the only only-cider stall). This drop ended up winning cider of the day. Mrs B proceeded to rip through a few ciders – Pipsqueak Pear Cider and a Rocks Brewery Pickpocket Apple Cider amongst them. She declared the Pickpocket to be her favourite. 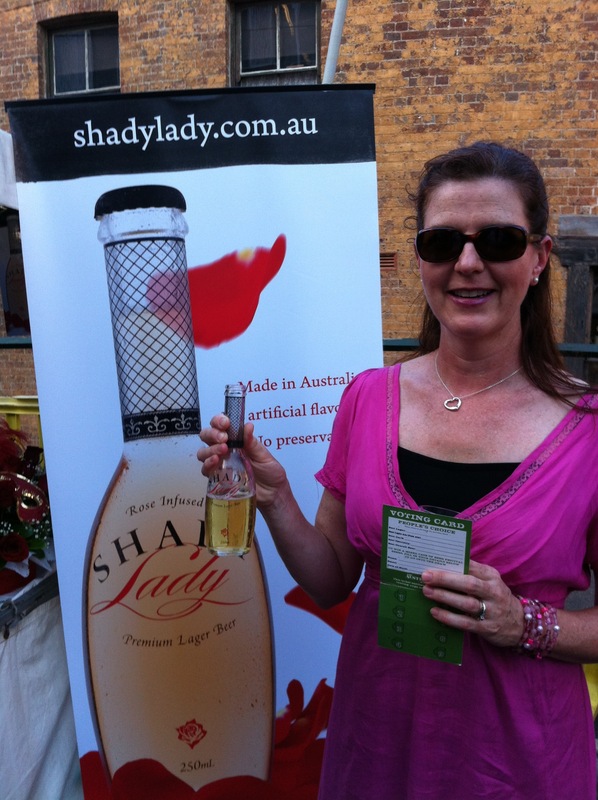 Also sampled was a newcomer to the Australian Beer Scene – Shady Lady Beer. This is a highly distinctive beer – self proclaimed as “Lightly perfumed refreshing lager beer”, Shady lady is a rose infused lager “designed by women for women”. Mrs B tried some and said “It’s like drinking a liquid Turkish Delight…I’ve never really liked Turkish Delight” I had a sniff – you either like that scent or you don’t. Not for me. 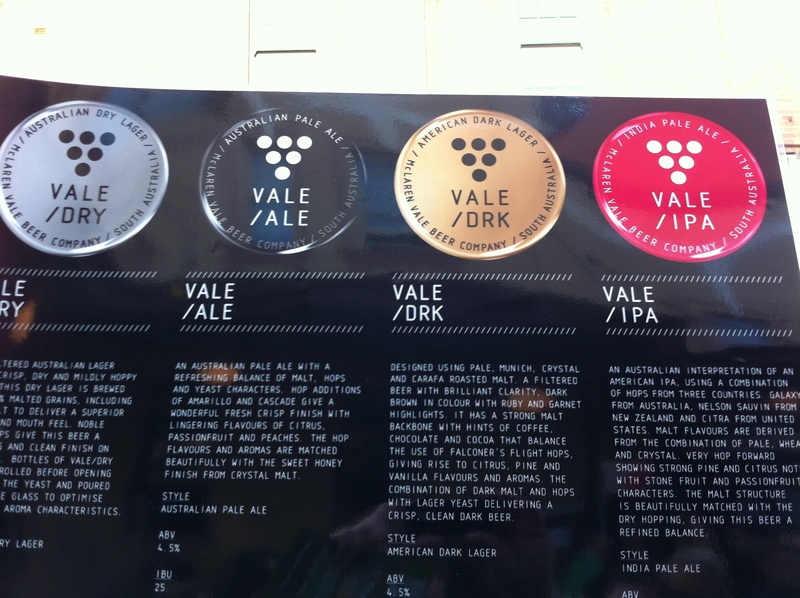 The two highlights were 1) trying a number of beers that I hadn’t had before. Roadtrip IPA by Holgate Brewhouse, Porter by Illawarra Brewing Company, a Pilsner and a Bock from the Balmain Brewing Company, Raw from Pinchgut Brewing Co, anything from HopDog Beerworks and Vale IPA (please bottle that baby and send it North). 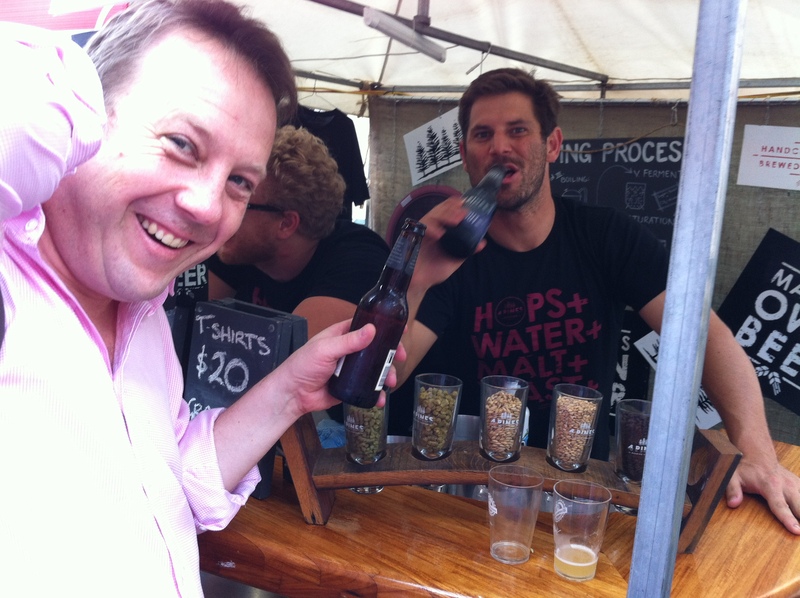 The second highlight is meeting some of the people behind the beers and putting faces to the twitter accounts and webpages. It is great to have a yarn to Jaron from 4 Pines, Gerard from Pinchgut, the jovial fellas from Balmain Brewing and the guys from Holgate. It’s a long day for all these guys – the set up, answering the same questions, dealing with pissheads etc – but they all seem to love it. The good news for us beer drinkers is that the brewers are universally positive about their businesses and what they do – long may it continue. Cheers to you all. Was a good day for it. 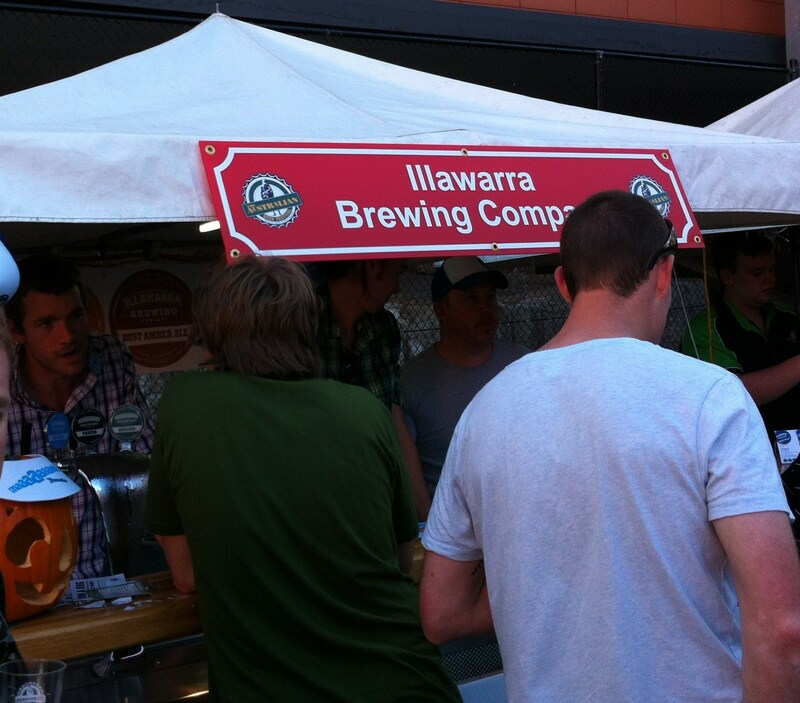 My fave, the Pumpkin Ale from Illawarra. Good stuff! Oh, and the way we described the Shady Lady was it was like drinking something from your grandma’s underwear draw. Not good.